The eukaryotic translation initiation factor 2α (eIF2α) is the regulatory subunit of eIF2 which can be inactivated by phosphorylation. In the adaptive response to various microenvironmental stresses, phosphorylation of eIF2α (p-eIF2α) by specific kinases significantly downregulates global protein synthesis while selectively upregulates the activating transcription factor 4 (ATF4) translation. The ATF4 is a transcription activator that can translocate into nucleus and upregulate genes involved in amino acid synthesis, redox balance, protein maturation, and degradation which lead to the activation of both autophagy and apoptosis. During tumor progression, adaptive response facilitates tumor cell survival and growth under severe stresses. Therefore, eIF2α phosphorylation significantly promotes tumor progression and resistance to therapy. However, there is also evidence showing that p-eIF2α exerts suppressive effects on tumorigenesis. Current understanding of the roles eIF2α plays in tumor is still incomplete and needs further investigation. 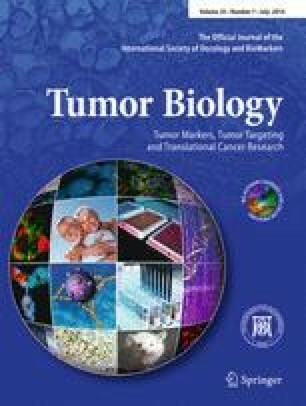 This review addresses on the past and current efforts to delineate the molecular mechanisms of eIF2α in tumorigenesis, tumor progression, resistance to therapy, and tumor cachexia as well as the translational promise of therapeutic applications targeting eIF2α-related signaling pathway. This work was supported by the National Natural Science Foundation of China (No. 81172516).